Scott’s Mobile Repair is a TOP RATED Rhode Island Truck Repair Company offering a State of the Art Repair Facility and Mobile Repair service for Light, Medium, Heavy Duty Trucks and Trailers. WE can handle ALL repairs. With our staff of professional gas and diesel mechanics who know trucks, no job is to big or small. Count on us! We will get you back on the road. 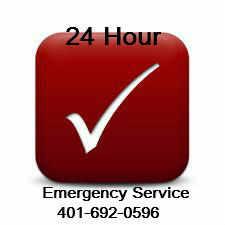 Located in Northern Rhode Island, we are proud to service all of Rhode Island, Massachusetts and Eastern Connecticut with our Mobile Repair Service. We understand that you need your Truck(s) to run your business. Scott’s Mobile Repair knows ALL about trucks and truck repair. We can help you fix any problem and provide a preventative maintenance program to maintain the longevity of your vehicle(s). Why do we stand out from the rest: From the mouth of Scott Woodis ” We work on preventing the problem not waiting until it’s too late”. Come in for Preventative Maintenance today! The maintenance of your truck on a regular basis can prevent expensive repairs down the road. Don’t wait! Give us a call today. Scott’s Mobile Repair Crew Hard at Work ! Testimonials from our Customers Scott Mobile Repair offers honest and reliable Truck Repair. Our customers can vouch for it! Testimonial 1 June 15th One night my truck broke down. I called Scott and asked if he could help me.